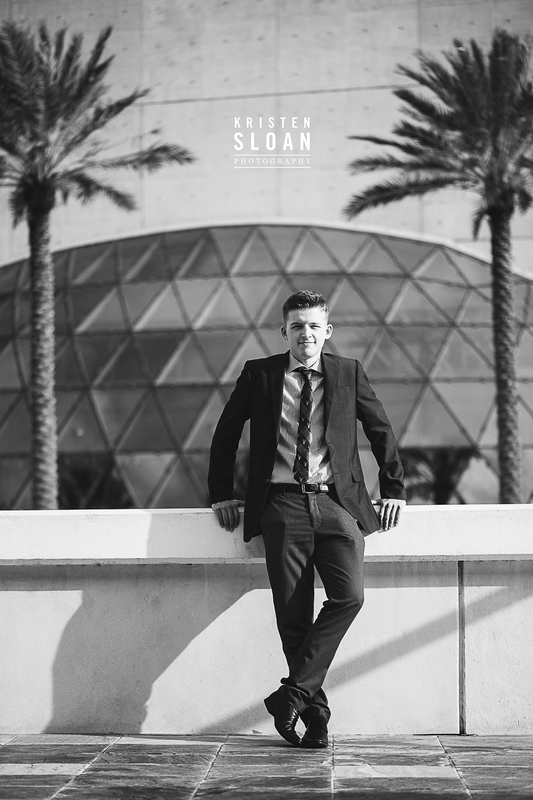 This senior portrait session was so much fun! It was a thrill to photograph Lily, the sister of one of my previous senior portrait clients. 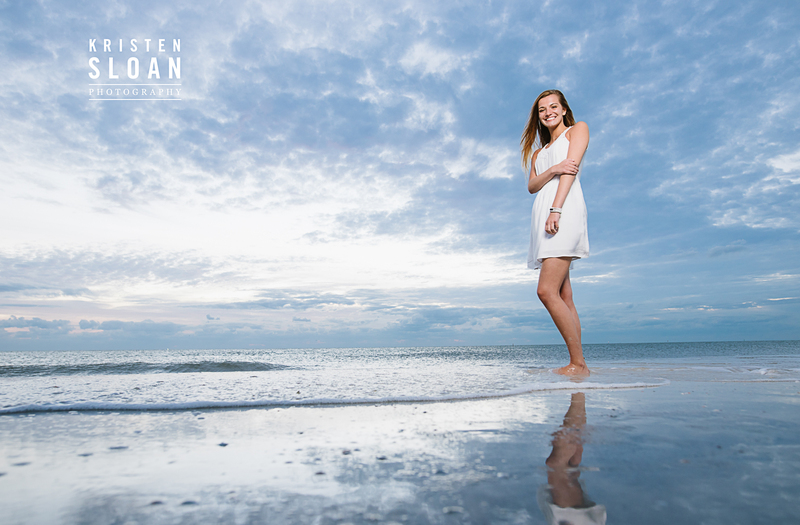 Lily lives in inland Florida and decided the beach would be a great location for her session. I had her stop by the house so I could help select outfits; one of my favorite parts of designing a senior portrait session. Lily is a natural beauty (like her sister) and I love how her hazel eyes and warm medium brown hair pop in these senior portraits. 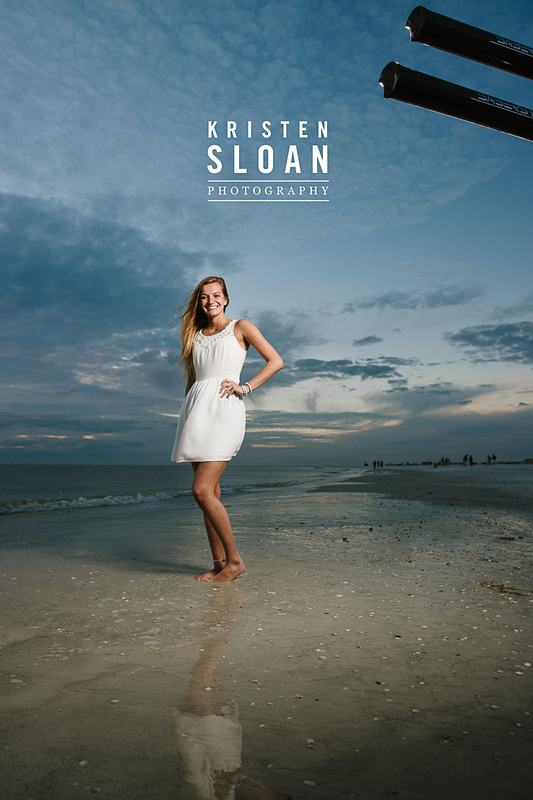 We headed out to St Pete Beach Treasure Island on for a sunset shoot on a beautiful warm night. Scott and I started out shooting these first portraits of Lily in her blue dress with natural light. For a few images while the sun was quite bright, I utilized off camera high speed synch fill to allow me to shoot at 2.8 at 4000th of a second with my Nikon D800 in commander mode with our Radio Popper PX triggers. We walked out towards the water and took advantage of the gorgeous dunes this beach offers. Mom’s favorite dress was this cute red strapless and I think it looks amazing in this beach setting. 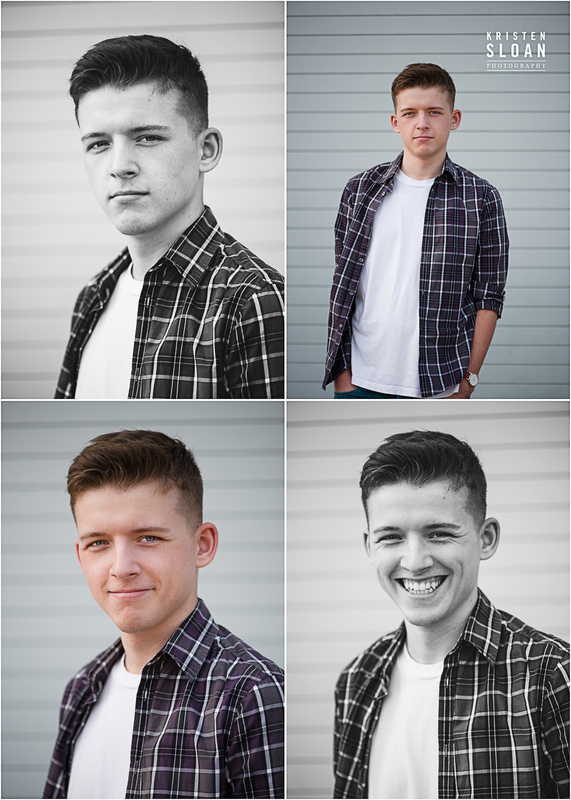 Typically at this time of day we photograph our strobist shots with an Einstein and a 50 inch soft box. 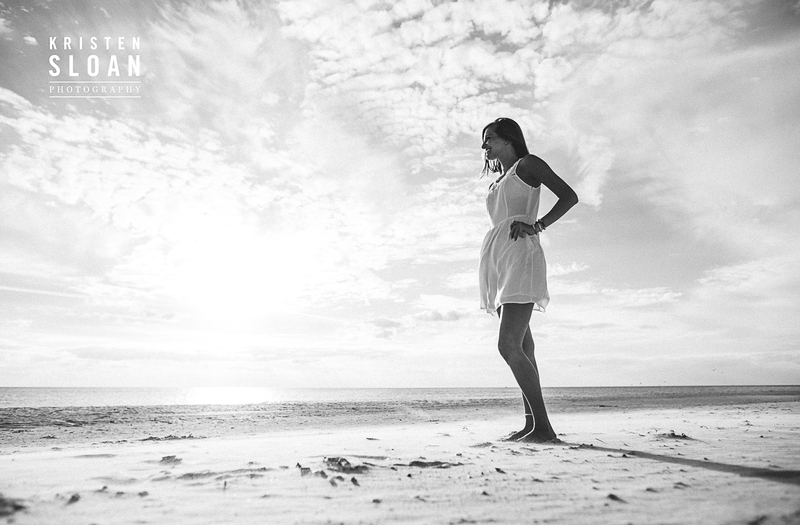 Scott likes to add a neutral density filter to get to nice portrait aperatures. When the sun was covered by the clouds I turned off my triggers and photographed Lily in natural light. Closer to sunset we moved towards the waters edge where I like shoot a few remaining moments of natural light. At this time, Scott prepares two Saberstrips on a boom stand. Lily’s sister loaned her the cute colorful top and I love how it compliments the soft pastel colors of the sky at sunset. On the drive back into St Petersburg, I had Lily change into this cute black dress and Scott suggested this location near the Green Bench Brewing Co. Scott handheld one SaberStrip for me while I quickly captured these images with my 85mm at 2.8. 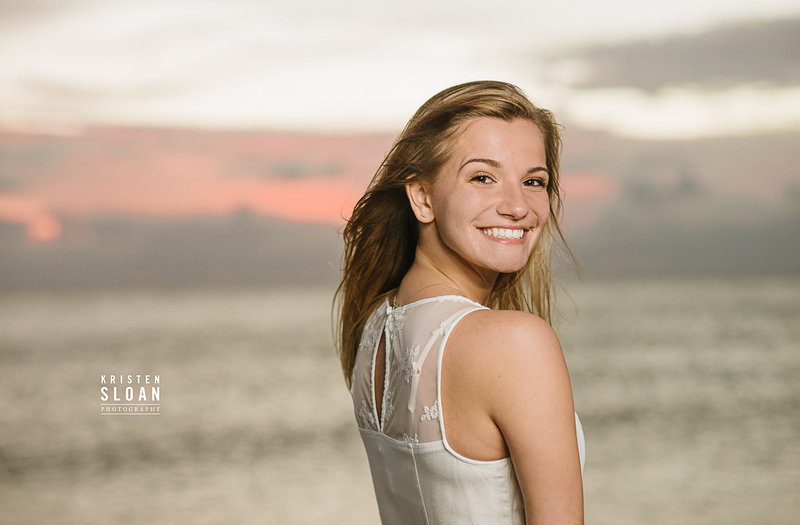 It was fun to give Lily another look and setting to her senior portrait session.